Are you in Barcelona? Do you want to know the treasures that lie beyond this great city? 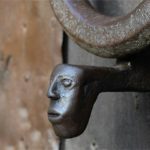 Since Sant Cugat and Terrassa are only twenty minutes from Barcelona and in the same line of railway (railways of the Generalitat de Catalunya), we propose a combined entry to two of the most representative Catalan medieval ensembles: the monastery of Sant Cugat and the Seu d’Ègara of Terrassa. We leave Barcelona by railway, going to Terrassa. We will go down in Sant Cugat, where we propose you to visit the monastery of Sant Cugat, the most important monastic complex of all the County of Barcelona in medieval times. You will discover one of the best preserved monasteries in Catalonia and you will have the possibility to visit its magnificent cloister. More information about the monastery of Sant Cugat. At lunchtime we suggest you two options, stay in Sant Cugat, city which offers numerous dining options with proposals for all tastes, or you can also choose to take the train and travel to Terrassa, where there is a large, prominent variety of restaurants. If you want to try products of proximity, you can choose one of the members of the Terrassa Gastronòmica brand restaurants. The second visit of the day is in Terrassa, where in the middle of the Park of Vallparadís stands the monumental ensemble of the three churches of the Seu d’Ègara. It is an exceptional monument within the Catalan historical and artistic heritage, which preserves jewels ranging from the first centuries of Christianity until modern times. 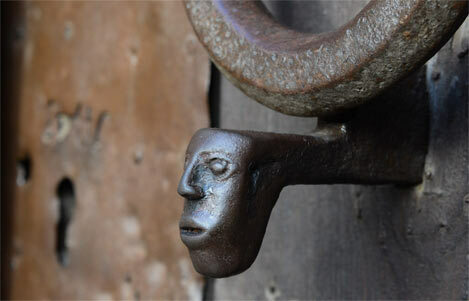 More information about the churches of Sant Pere here. 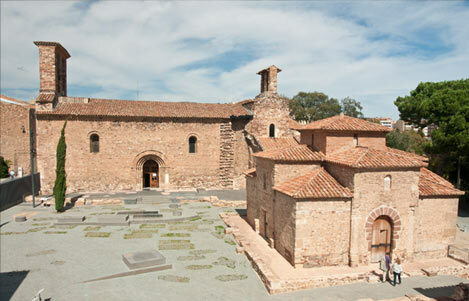 The tourist pack (4.50 euros) provides ticket with audio guide and includes a visit both to the monastery of Sant Cugat and to the churches of Sant Pere de Terrassa. For children under 6 years it is free. The product can be purchased online and in the main offices of tourism of Barcelona, because they collaborate with the Diputació de Barcelona and Barcelona Turisme. By railway (FGC Generalitat de Catalunya, line of the Vallès (S1).